Vous pouvez acquérir divers objets, modélisés et imprimés en 3D par mes soins. Les adaptateurs permettent par exemple d'améliorer vos matériels d'astrophotographie. You can get several items, designed and 3d-printed by miself. 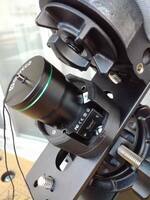 For exemple, the adapters allow you to improve your astrophotography equipments. Les objets sont imprimés en PLA. 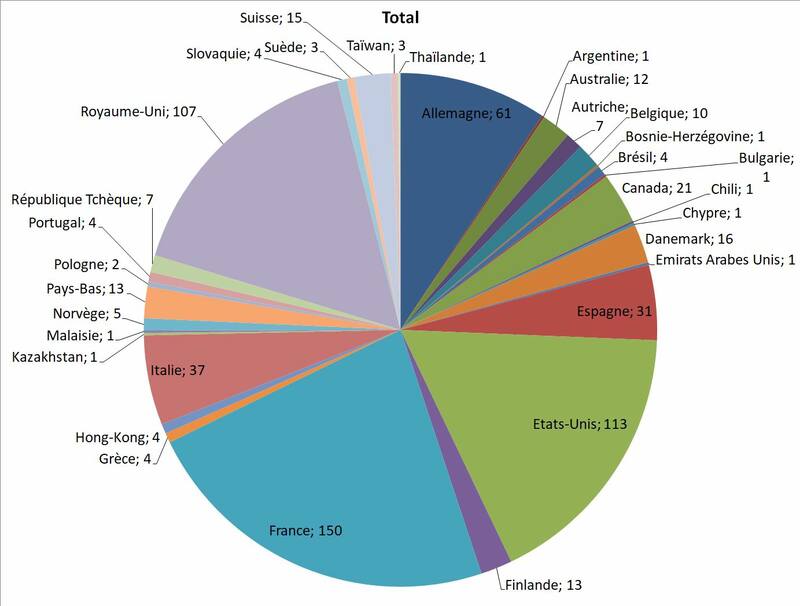 Les objets de moins de 3 cm d'épaisseur sont envoyés en lettre prioritaire sans suivi (question d'économie). N'hésitez pas à me contacter pour tout envoi en nombre ou en colis suivi. 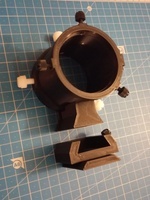 Items are made of PLA. Item with height below 3 cm are sent by not-tracked priority mail (a matter of economics). Feel free to contact me for shipment of large number of items or tracked package. 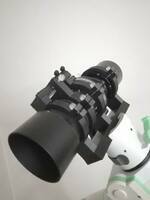 to make a wide-field x1.5 binocular. Want to find out more ? Click on the pictures ! 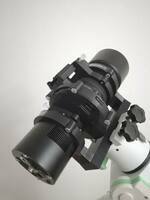 (Tamron 70-200 f:2.8 + CCD cooled-camera) train on your equatorial mount. 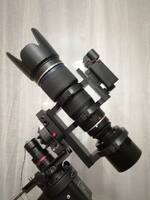 Thanks to its 3 rings (2 for lens, 1 for the camera), the flexure of the "train" is avoided. 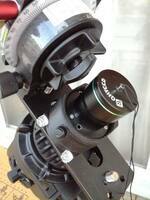 - QHYCCD-Coldmos (77mm diameter) cameras. 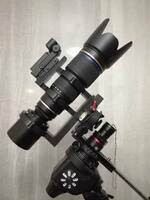 Vixen, Manfrotto 577, Arca-Swiss, Losmandy. 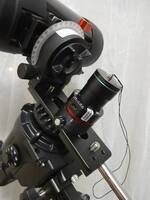 (Samyang/Rokinon 135 f:2 + CCD cooled-camera) train on your equatorial mount. on the L-bracket of your Star-adventurer. 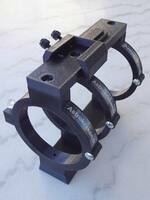 New design : firmly attached thanks to 2 clamps. Original design with hinged rings ! 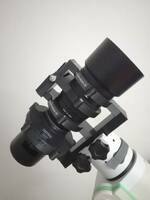 Telephoto lens, guidescope, autoguider, red-dot finder, dslr, and mount are not included. to the hotshoe of your dslr. that firmly attach in the L-bracket's groove. Polemaster, L-bracket and polar illuminator aren't included. 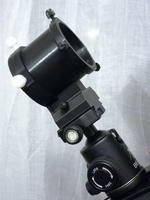 polar illuminator simple to use. 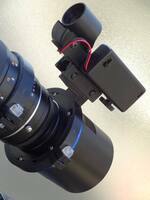 even with your dslr or CCD camera in place. 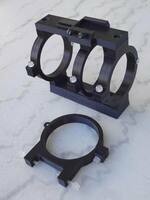 The rings fit from Diameter down to Diameter-30mm. Now available with HINGED RINGS ! 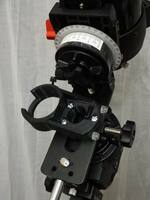 quick-release photo dovetail (Manfrotto 577-like) of your equatorial mount. 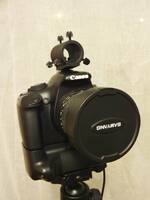 Telephoto lens, guidescope, red-dot finder, dslr, fast-release photo clamp and mount not included. to your QHYCCD Coldmos camera. 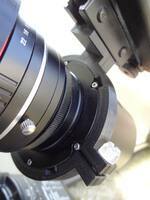 This ring fits 77mm diameter cameras. Finder and camera not included. Rings, Vixen dovetail and Telrad not included. this mask is easy to attach and detach. with your preferred telescope ! 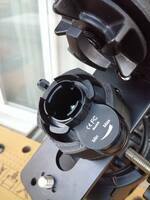 on a iOptron Skytracker nomadic mount. Only a few seconds are enough to attach or detach it. Very usefull if you need to share a Polemaster with several mounts. Very usefull if you want to share a Polemaster with several mounts. the orientation of your lens. its male dovetail fits the usual quick-release systems.